There is something about beautifully made window dressings that completes a room. The perfect combination of style, colour and texture of your curtains, blinds and shutters makes the statement. Custom made curtains and blinds from P&S Drapes enhance your lifestyle and are an extension of your own personality, so choose only the services of professionals when it comes to furnishing your windows with quality window dressings. Our qualified decorators will provide you with obligation-free advice on all your made to measure curtains, blinds, shutters and accessories. 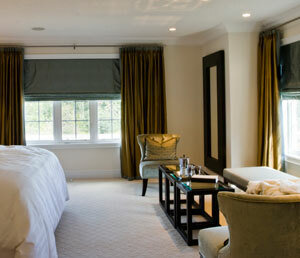 P&S Drapes are situated in Northcote and service the surrounding areas. P&S Drapes service the following areas of Melbourne. Contact us for a quote. For over 30 years, P&S Drapes have furnished windows in Northcote and Melbourne's northern suburbs.